Just because we're well into October, it doesn't mean things have ground to a halt up here on the roof. 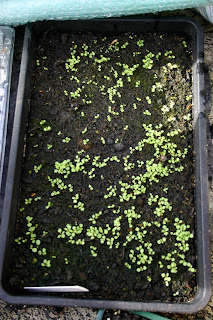 In fact, space really is at a premium with seeds germinating, seedlings growing (outrageous!) and cuttings taking all over the place. And I received a totally unexpected surprise when Rhododendron vireya "Saxon Glow" (flowers April-May) decided to chuck out another couple of its remarkable flowers. You can tell it's a Rhody but they really are quite unique. There is also about to be a show of red, white and blue on the Clematis tower, which has supassed all expectations, thanks largely to my inspiration (I jest) and Thorncroft Nursery's superb specimens which have doubled in size in little over a month. There are flower buds aplenty on "Niobe" and the Clematis everyone pictures when they hear the genus mentioned, the venerable "Nelly Moser". I've no idea who she was in life but in botanical perpetuity she is a big-hearted and generous lady indeed! 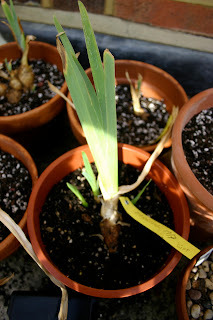 I really am falling over pots and trays of next year's bounty up here, you'd be amazed how much room is taken up by 40 Dianthus knappii seedlings and about 20 Lupins, not to mention to various pots and trays full of choice seed awaiting the winter freeze that, come spring, will unlock the bounty within. 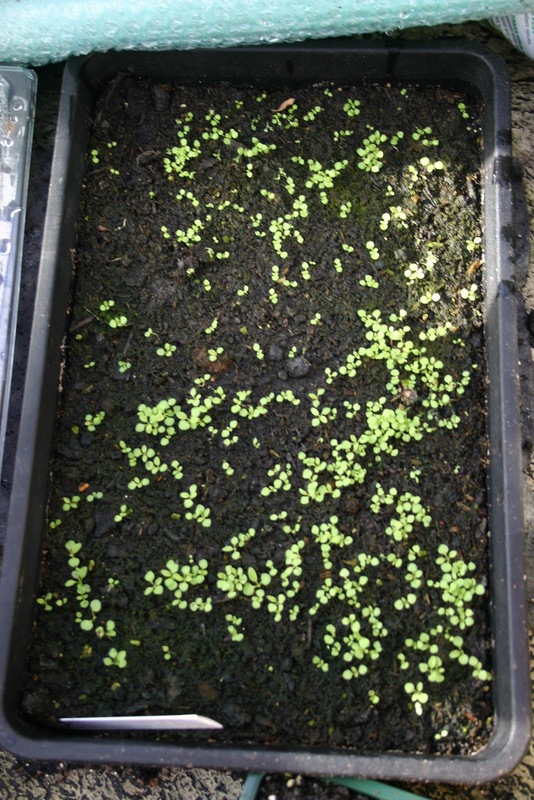 I've already taken care of the next generation of the more, shall we say, prosaic plants such as Salvia patens, Fuchsia (name escapes me and I can't be bothered to climb out the window yet again) and various Penstemons and pelargoniums.